Take a Peek at Our Design Process! Psst . . . want in on a secret? Because you’re one of Pear Tree’s closest friends, we want to share this exclusive sneak peek behind the curtain of our design process. 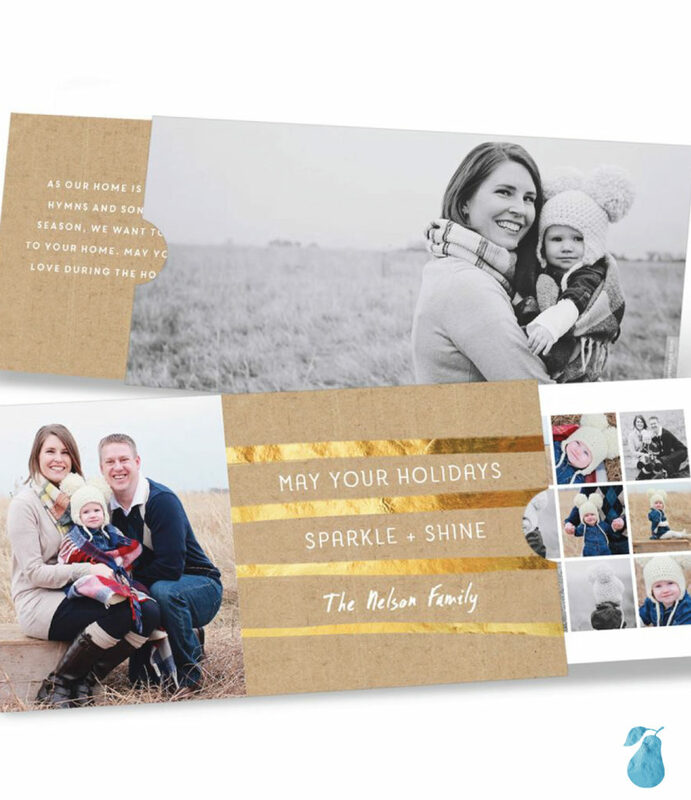 How does our team produce beautiful, innovative cards each and every year? We want to show you! Our designers find inspiration in everyday moments and things, working hard to bring their visions to your hands. Creating a new format is always a challenge, but you’re only limited by your creativity. This process can take months of testing folds, cuts, and paper weights. By the time a holiday design concept for the year is finalized, the new card format will be a finished blank slate ready for artwork. While graphic design work these days is digital, our team does a physical mock-up of the new design before creating the template or images. The goal is to take measurements and get an idea of what it will look like in customers’ hands. After we have experimented, we send it to our assembly company, who also tests the design to make sure it has correctly placed cuts and folds. After as many rounds of this as necessary, the card is ready to send to you! Our designers are so meticulous in their visioning, testing, and experimenting that we know each piece will be perfect by the time it reaches your hands. They see each card as a little gift, not just from its buyer to its recipient, but from Pear Tree to you. That’s why they take so much care with every little detail, from foil-stamped lettering to gleaming grommets holding booklets together, creating truly easy luxury. 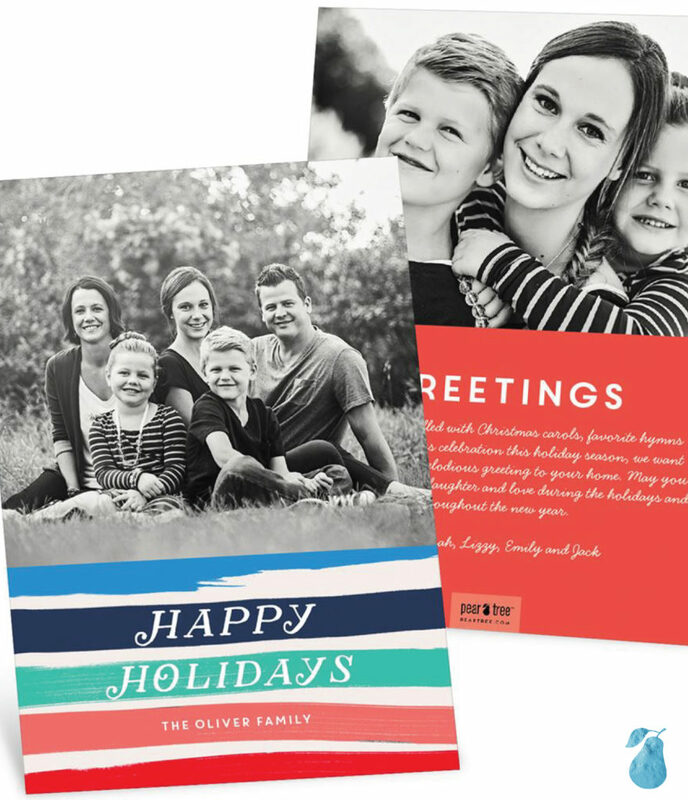 Our unique Christmas cards are lovingly designed to help you send thoughtful greetings to everyone you love. Best of all, the work we do makes ordering custom pieces with intricate details so easy for you. Take a look at some of our innovative formats making an appearance this year, plus the inspiration behind them! You can see the inspiration for the Joy Woodgrain design simply by stepping outside your door. It contains gorgeous natural elements that keep this card grounded and familiar. This card is a perfect blank slate for your images, be they silly, romantic, or formal. Choose rounded corners for a finished look, or stick with the traditional shape for something more laid-back. The Modern Greeting Swatch Book is a totally unique, delightfully personal take on the traditional Christmas card. 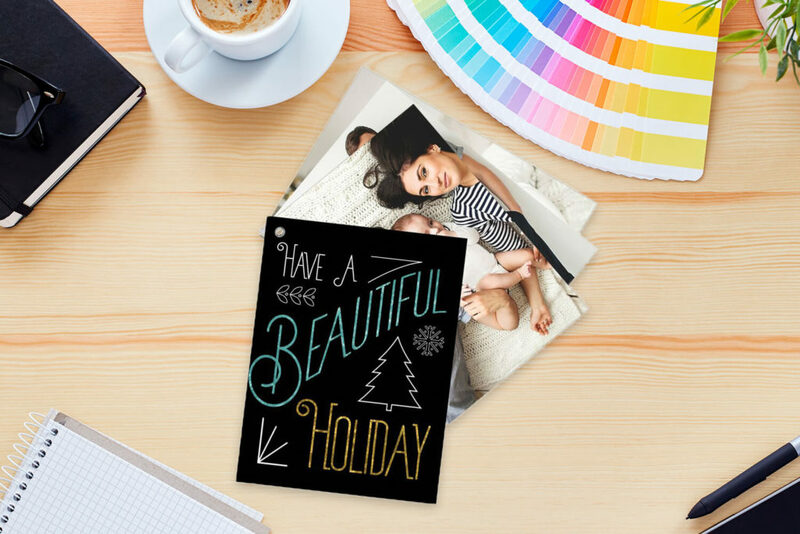 Drawing inspiration from hardware store paint samples, our designers created this breathtaking template that lets your pictures and message shine. You choose the photos and the background colors that best tell your holiday story. Inspired by the world of art, the New Colors card is bright, bold, and created to let you play designer! The front features painterly stripes in vivid colors, but the back is yours to create. Choose from four layouts plus patterns and colors for the background. You can upload anywhere between one and 13 images depending on the layout you select! We are so in love with the Golden Greeting Slider card, which features gleaming foil and a simple font on a kraft paper background. Our team created this showstopper to duplicate the joy of playing with interactive children’s books. The card is shaped like a pouch, encasing a removable inner panel full of 17 photos, plus space for your custom greeting on the back. These cards are whimsical and unlike anything else. For a closer look behind the scenes at Pear Tree, watch this great video showing our designers at work! 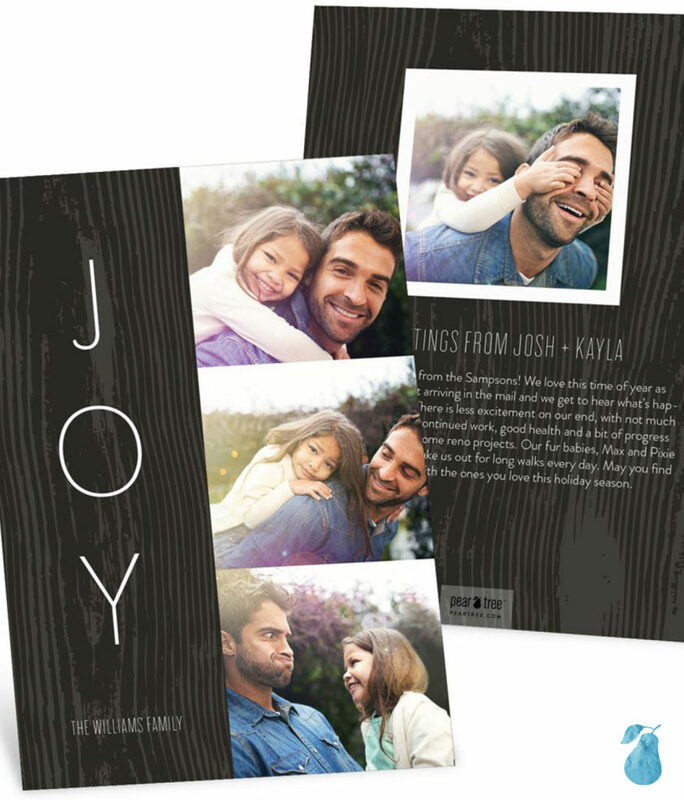 Make sure to check out all of our Christmas card ideas to select the lovingly crafted design that is perfect for you.